We love to save money online by using coupons, finding the best deals and using cash back websites. Today, we want to share a popular site with you that we use to save money every month. Ebates has changed the way we shop online and we think you will love it! We use Ebates to save money simply by shopping through the links on the Ebates site. This review shows you exactly what we spent over the last few months to make over $100 with no extra effort! So if you want to know exactly how to make money with Ebates be sure to read this review and let us know in the comments below how much you were able to make just by buying stuff you would have purchased anyway! We use several different cash back sites (e.g. Swagbucks and MyPoints) so we have extensive experience with these types of sites and how they operate. We have come to the conclusion that Ebates is the BEST cash back website available today! Sign-up here with Ebates to get your $10 Welcome Bonus! Honestly, if you are buying stuff online already, you will not regret doing it through Ebates and making $100’s extra every few weeks! Ebates is a well-established company that is based out of San Francisco. They specialize in giving cash back to consumers. The company was founded in 1998 and the current CEO is Amit Patel. Ebates has over 10 Million members! These members have earned over $800 Million in cash back rewards. How Does Ebates Work ? Ebates gives you cash back when you buy something through one of the 2,000+ stores that they are affiliated with. 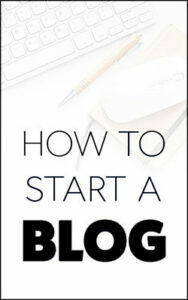 They are able to do this because they essentially split an affiliate commission with you! The retailer pays Ebates when the customer purchases through an Ebates link and Ebates splits it 50/50 with the customer. Pretty simple and awesome system right? This simple system is how they are able to give you a few percent cash back on so many different products and vendors. Typically, you will be credited with your cash back points from Ebates within a day. Ebates pays you with the famous Big Fat Check. It is literally a check that comes in the good old-fashioned mail. Ebates can also pay you via Paypal. Yes, Ebates is free to use. We would never recommend a cash back site that charges any kind of fee. Ebates will give you cash back on over 2000 of the biggest stores online! Think of any store and there is a good chance you can get up to 15% discount using Ebates! There are just so many – go to Ebates and have a look at the huge list for yourself. Yes, Walmart is on Ebates. You can get even lower prices if you go through the Ebates app to purchase from Walmart. Does Ebates Have A Welcome Bonus? Yes, they have a $10 welcome bonus for new users if they spend $25 on Ebates over the first 90 days of signing up. How Much Cash Back Can You Earn ? This depends on how much money you spend through Ebates. If you use Ebates for most purchases, you can expect $100 – $200 cash back every month. Ebates Black Friday Deals Video – Cash Back! We have made about $100 recently from buying stuff through Ebates links – all this is stuff we had to buy anyway! 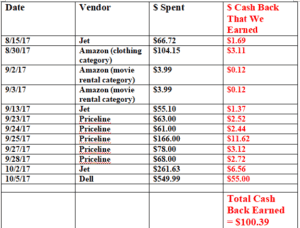 We put together a table (below) to show you exactly what we bought and the cash back we have received from Ebates recently. Full transparency in this Ebates review! Ebates has a relationship with thousands of vendors but we only used Jet, Amazon, Priceline and Dell during the last couple of months. Buying through Ebates was no more difficult or time-consuming than visiting the sites as we normally would. Perhaps an $100 extra in a couple of months might not seem like a lot of extra money, but you could easily increase this by buying your essential products (that you can’t find on Ebates) through other cash back sites (I highly recommend Swagbucks and MyPoints). 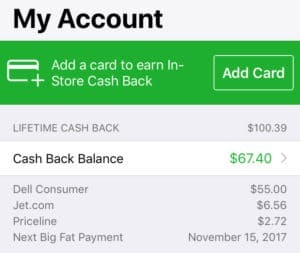 All of these cash back sites are 100% free and simple to sign up for, so you might as well sign-up for ALL of them to ensure maximum cash back potential. Is Ebates A Scam ? One of the questions that I see asked most often about cash back sites like Ebates is: Are they are ‘scams’ ? I can understand how these cash back sites might seem too good to be true, but when you understand how they work through sharing affiliate commissions, it is obvious that they are genuine, legal and sensible sites to use. Ebates has an A+ rating with the BBB, which is very impressive. If you google for ratings on Ebates, you will find that almost everyone loves it – we haven’t been able to find a single rating of less than 4/5 stars! Ebates is certainly NOT a scam! Here is a screenshot of our earnings from Ebates (below). We have received $32.99 from Ebates, with the check mailed to our home address. The payment process was easy and very prompt. Our second check for $67.40 will be mailed to us this month. Most people don’t realize but you can use any other discounts or reward cards in-conjunction with purchasing via the Ebates links – compounding and increasing the amount of savings that you make! For example, if you get Amazon reward points with your favorite credit card, you will STILL get those points in addition to the 3% – 6% cash back by using the Ebates link. Make sure to check out Ebates often, especially around the holidays. On certain holidays they often offer double cash back at certain stores. We purchased a laptop on Columbus day and we got 10% cash back, instead of the usual 5% that they usually offer for Dell. It saved us $55! Ebates has great mobile apps for both Android and Apple platforms. The app has so many cool features that can help you to earn some extra cash back. My favorite feature is the Geo-Push notifications. This feature will notify you when you are within walking distance of any stores that offer cash back with Ebates. Most people do not realize that Ebates offers in-store cash back at participating stores. Price Comparison Tool – this is a truly great feature of the Ebates app. You can use this tool while in a store to see if you can get the item for a better price from an Ebates store. All you do is scan the barcode of the item with your phone and Ebates does the rest! Ebates will pay you $25 if you refer a friend. The new user has to signup and spend $25 on a qualifying purchase within 90 days. If they do this, you get $25 and they receive their $10 welcome bonus. Everyone wins! We hope that you have found this Ebates review useful and that you will sign-up for Ebates (and get the $10 Bonus!) and give it a try. Ebates is free and can save you thousands of dollars on products that you would have to buy anyway! Ebates often runs double cash back promotions during the holiday seasons and it is the perfect time to be saving some of your hard-earned money. Unfortunately, if you are looking to save money on groceries then Ebates will not really help you. There are a few grocery saving apps and websites though (e.g. SavingStar) that will help you get cash back on your grocery shopping expenses! 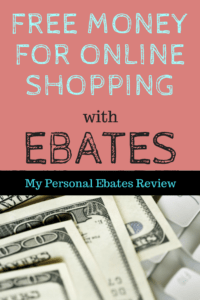 Do you have an Ebates review you would like to share with our readers? We hope that you enjoyed our Ebates review – please let us know in the comments below if you have tried Ebates! We use Ebates to get 5% – 10% off purchases we make – highly recommended!